In a world – sadly – dominated by male musicians, the flutist Colette Michaan gets much less respect than she deserves. One wonders, however, how much of this is a ‘western world’ phenomenon because in reality – especially in communities such as the Gnawa of Essaouira in Morocco, the flutist is held in higher esteem and has shared the stage with some of the finest. 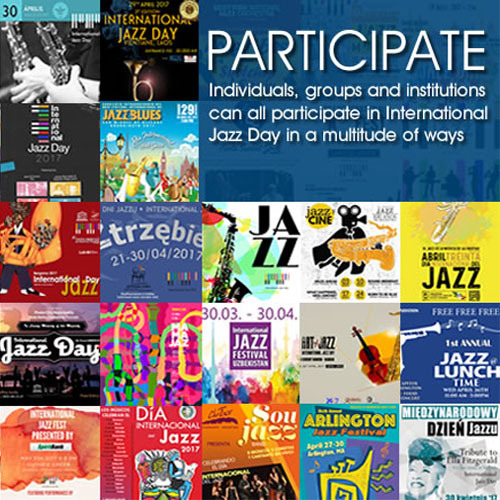 This is true also among Cuban musician and other serious musician communities wherever they might exist. 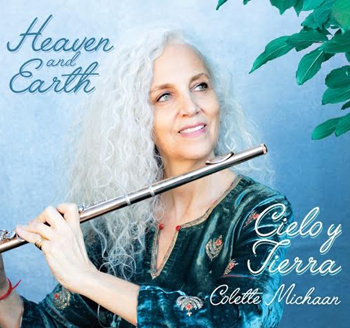 And here, on Heaven and Earth-Cielo y Tierra, her fourth album, Ms Michaan shows why she is due much more than she’s getting by way of love and respect as a virtuoso flutist. The intrepid musician has sculpted these ten pieces on this recording with masterful artistry. Subtlety is the pervasive quality that Colette Michaan brings to this disc of works by several well-known composers. The music doesn’t often raise its voice much above a seductive whisper, and even when it does, the narratives are skillfully crafted to maintain a very expressive decorum. Ms Michaan’s radiant flute enriches these melodies and alters the harmonies and structural elements of each piece already augmented with the addition of (often the two) trombones of Reut Regev and Rey David Alejandre. As a result the flutist is able to take the pieces in directions that surprise and captivate the ear enormously. Melvis Santa’s beautiful piece “La Flauta de Colette” is an outstanding example of this. Ms Michaan also ups the production ante here with the evocative voice of Melvis Santa, whose floating soprano adorns “La Flauta de Colette”, “Por si Acaso” and “Quimbara”. Also enabling the flutist to make this her most vivid album yet are pianist César Orozco, bassist Jorge Bringas and three great percussionists: Román Díaz, Luisito Quintero and Yusnier Sánchez Bustamante. Through it all, of course, it is Colette Michaan who is, justifiably, in the limelight as she performs with consummate artistry, blending superior control and tonal lucidity with a cohesive sense of line and motion. This music could hardly be better served.